On July 5, 2017, the Solar Dynamics Observatory watched an active region — an area of intense and complex magnetic fields — rotate into view. 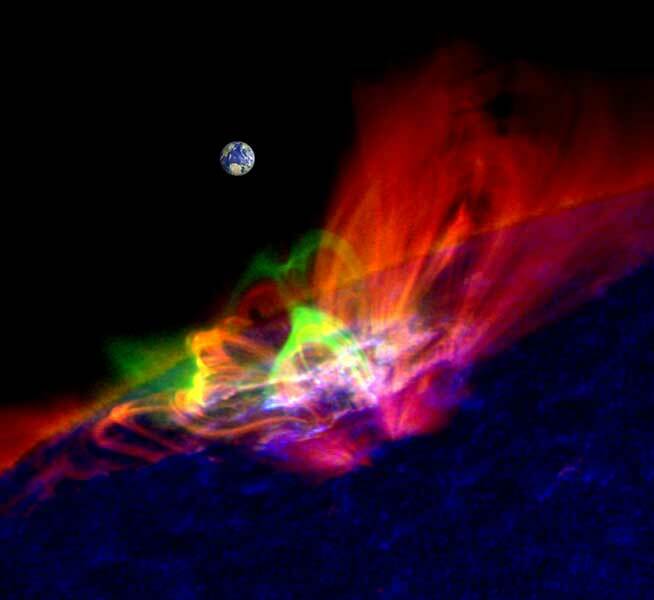 With their complex magnetic fields, sunspots are often the source of interesting solar activity: During its 13-day trip across the face of the Sun, the active region — dubbed AR12665 — put on a show for NASA’s Sun-watching satellites, producing several solar flares, a coronal mass ejection and a solar energetic particle event. Watch the video below to learn how NASA’s satellites tracked the sunspot over the course of these two weeks. After a large sunspot rotated out of Earth’s view on July 17, 2017, NASA instruments could still track its effects on the far side of the star. This imagery from NASA’s Solar Terrestrial Relations Observatory on July 23, 2017, captures an eruption of solar material — a coronal mass ejection — from that same active region.